In the most recent and thorough analysis by a professional geologist, Jerry Grover, Jr. concluded, “In order to account for the destruction described in 3rd Nephi, it is clear that a volcano and a regional earthquake are indicated.” Earthquakes are known to trigger volcanic eruptions, especially when a volcano is located on or near a fault-line. In some Book of Mormon geography models, Veracruz, Mexico is part of the land northward, which experienced greater damage during the cataclysmic events (3 Nephi 8:12). Interestingly, while it is impossible to prove the exact timing of a volcanic eruption, current evidence indicates that the San Martín volcano likely experienced an eruption event in the first century AD. Further evidence suggests that during or around the first century AD, Mesoamerica experienced widespread volcanic activity. Ice cores, therefore, offer evidence that there was a major volcanic event close to the timing of Christ’s death. Yet ice cores have the drawback of not being able to pinpoint the location of the volcanic events they document from all around the world. A correlation to Mesoamerica, however, is possible, given the evidence already mentioned for extensive volcanic activity around this time. At least one region in the Americas (Veracruz, Mexico) possessed the necessary geologic characteristics. At least one volcano in that region (San Martín) appears to have erupted in the first century AD. There was further volcanic activity in Mesoamerica in and around the first century AD. Ice core samples indicate that a major volcanic event took place somewhere in the world around AD 30–40—around or close to the time of Christ’s death. While none of this can be linked directly to the events described in 3 Nephi, it goes to show that, as with the sign at Christ’s birth, there is nothing scientifically implausible in the account given in 3 Nephi 8–10. In fact, the fulfillment of this prophesied volcanic disaster is strikingly realistic, especially its three days of smoky vapor and thick darkness. But even the darkest of nights come to end. The darkness dissipated as the Savior conquered death, and within the year righteous Nephites and Lamanites witnessed the risen, glorified Lord in all his majesty (3 Nephi 11). President Ezra Taft Benson taught, “The record of the Nephite history just prior to the Savior’s visit reveals many parallels to our own day as we anticipate the Savior’s second coming.” This statement warns readers of further societal decay and impending darkness and destruction. But it also enables them to glimpse the grandeur and glory that is to follow for the humble and penitent who come unto Christ. Neal Rappleye, “‘The Great and Terrible Judgements of the Lord’: Destruction and Disaster in 3 Nephi and the Geology of Mesoamerica,” Interpreter: A Journal of Mormon Scripture 15 (2015): 143–157. Jerry D. Grover, Jr., Geology of the Book of Mormon (Vineyard, UT: Grover Publications, 2014). Benjamin R. Jordan, “Volcanic Destruction in the Book of Mormon: Possible Evidence from Ice Cores,” Journal of Book of Mormon Studies 12, no. 1 (2003): 78–87. Hugh Nibley, Since Cumorah, 2nd edition (Salt Lake City and Provo, UT: Deseret Book and FARMS, 1988), 231–238. Since Cumorah originally ran as a series in the Improvement Era from 1964–1967. John L. Sorenson, An Ancient American Setting for the Book of Mormon (Salt Lake City, UT: Deseret Book and FARMS, 1985), 129, 318–323; James L. Baer, “The Third Nephi Disaster: A Geological View,” Dialogue: A Journal of Mormon Thought 19, no. 1 (Spring 1986): 129–132; Alvin K. Benson, “Geological Upheaval and Darkness in 3 Nephi 8–10,” in The Book of Mormon: Third Nephi 9–30, “This is My Gospel,” ed. Monte S. Nyman and Charles D. Tate Jr. (Provo, UT: Religious Studies Center, Brigham Young University, 1993), 59–73; Russell H. Ball, “An Hypothesis concerning the Three Days of Darkness Among the Nephites,” Journal of Book of Mormon Studies 2, no. 1 (1993): 107–123; John A. Tvedtnes, “Historical Parallels to the Destruction at the Time of the Crucifixion,” Journal of Book of Mormon Studies 3, no. 1 (1994): 170–186; John Gee, “Notes and Communications—Another Note on the Three Days of Darkness,” Journal of Book of Mormon Studies 6, no. 2 (1997): 235–244; Bart J. Kowallis, “In the Thirty and Fourth Year: A Geologist’s View of the Great Destruction in 3 Nephi,” BYU Studies 37, no. 3 (1997–1998): 136–190; Benjamin R. Jordan, “‘Many Great and Notable Cities Were Sunk’: Liquefaction in the Book of Mormon,” BYU Studies 38, no. 3 (1999): 119–122; “Volcanic and Ice Dating in the New World,” Journal of Book of Mormon Studies 10, no. 1 (2001): 75; “When Day Turned to Night,” Journal of Book of Mormon Studies 10, no. 2 (2001): 66–67; Benjamin R. Jordan, “Investigating New World Volcanism at the Time of Christ’s Death,” Insights: A Window on the Ancient World 23, no. 6 (2003): 3–4; Matthew Roper, “A Note on Volcanism and the Book of Mormon,” Insights: The Newsletter of the Neal A. Maxwell Institute for Religious Scholarship 29, no. 4 (2009): 4; Benjamin R. Jordan, “Volcanic Destruction in the Book of Mormon: Possible Evidence from Ice Cores,” Journal of Book of Mormon Studies 12, no. 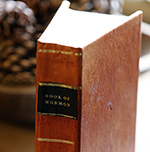 1 (2003): 78–87; Brant A. Gardner, Second Witness: Analytical and Contextual Commentary on the Book of Mormon, 6 vols. (Salt Lake City, UT: Greg Kofford Books, 2007), 5:300–312; John L. Lund, Joseph Smith and the Geography of Book of Mormon (The Communication Company, 2012), 173–178; John L. Sorenson, Mormon’s Codex: An Ancient American Book (Salt Lake City and Provo, UT: Deseret Book and the Neal A. Maxwell Institute for Religious Scholarship, 2013), 641–649; Jerry D. Grover, Geology of the Book of Mormon (Vineyard, UT: Grover Publications, 2014); Brant A. Gardner, Traditions of the Fathers: The Book of Mormon as History (Salt Lake City, UT: Greg Kofford Books, 2015), 343–351; Neal Rappleye, “‘The Great and Terrible Judgements of the Lord’: Destruction and Disaster in 3 Nephi and the Geology of Mesoamerica,” Interpreter: A Journal of Mormon Scripture 15 (2015): 143–157. An earthquake in 1811 felt throughout the eastern US reportedly caused an “awful darkness of the atmosphere,” however it only lasted briefly. Grover, Geology of the Book of Mormon, 156 explained that earthquakes are not known to cause lengthy periods of darkness. “The mists or vapors of darkness are described as being widespread. 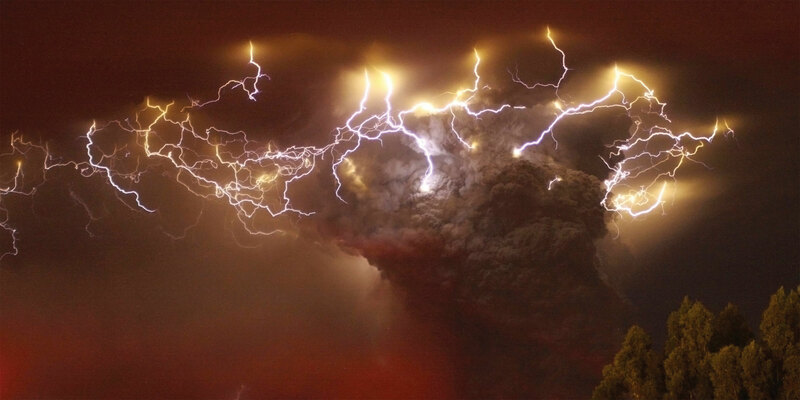 The only realistic explanation for this phenomenon is a volcanic ash/tephra cloud disseminated as a result of a volcanic eruption. Occasionally during the initial moments of earthquakes, dust can be generated from shaken buildings or by brief release of sometimes pungent soil gases, but these have never been observed in modern earthquakes to last more than a few hours, and the same is indicated for pre-modern earthquakes by historic anecdote. Earthquake dust has not been observed to inhibit ignition. Volcanic ash distribution has been historically documented to inhibit combustion and last for days at a time.” Also see Rappleye, “The Great and Terrible Judgements,” 153. Kowallis, “In the Thirty and Fourth Year,” 136–190; Lund, Joseph Smith and the Geography of Book of Mormon, 173–178; Gardner, Second Witness, 5:300–312. Grover, Geology of the Book of Mormon, 119. Grover, Geology of the Book of Mormon, 137. Grover, Geology of the Book of Mormon, 139–141. Grover, Geology of the Book of Mormon, 139–148. Grover, Geology of the Book of Mormon, 148. Sorenson, Ancient American Setting, 46; V. Garth Norman, Book of Mormon–Mesoamerica Geography: History Study Map (American Fork, UT: ARCON, 2008), 3; Joseph L. Allen and Blake J. Allen, Exploring the Lands of the Book of Mormon, revised edition (American Fork, UT: Covenant Communications, 2011), 428–465; Sorenson, Mormon’s Codex, 508–509; 712–714. Grover, Geology of the Book of Mormon, 39; “When Day Turned to Night,” 66–67. Sorenson, Mormon’s Codex, 641–649; Grover, Geology of the Book of Mormon, 32–49. Grover’s work documents as many as six volcanos active around the first century AD, ranging from central Mexico to southern Guatemala. Jordan, “Volcanic Destruction in the Book of Mormon,” 84. Jordan, “Volcanic Destruction in the Book of Mormon,” 87. The exact year of Christ’s death is also uncertain and highly debated, though most scholars would place it around AD 30. See Thomas A. Wayment, “Appendix—The Birth and Death Dates of Jesus Christ,” in The Life and Teachings of Jesus Christ: From Bethlehem Through the Sermon on the Mount, ed. Richard Neitzel Holzapfel and Thomas A. Wayment (Salt Lake City, UT: Deseret Book, 2005), 383–394; Jeffrey R. Chadwick, “Dating the Death of Jesus Christ,” BYU Studies Quarterly 54, no. 4 (2015): 135–191. Book of Mormon Central, “How was there a Night without Darkness? (3 Nephi 1:15),” KnoWhy 188 (September 15, 2016).